Vivacity Entertainment is popular for setting up a dream like experience which turns your fairytale into a reality. With international performance artists, we present your audience with a time to remember. Set your social event and get together a class apart with our incredible selection of highly talented individuals focused on making your event a success story. 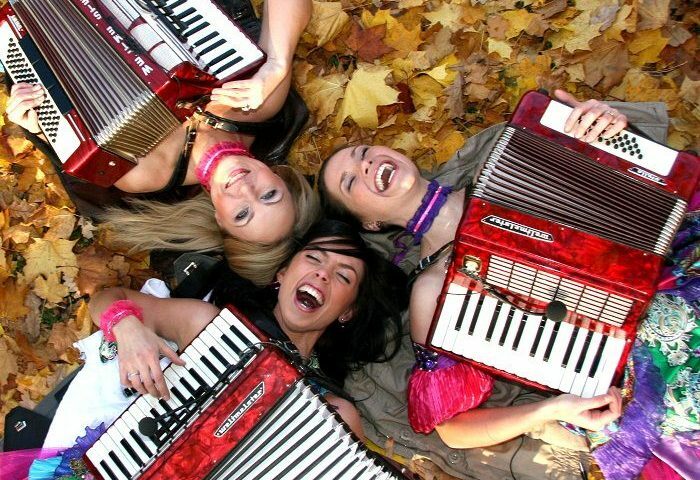 Popular for being the only female accordion trio in the world, Brides accordion is the perfect match for your fairytale wedding. Feel like you are Paris with truly a spellbinding performance with these three beauties. Dance to the music of Bollywood and Hollywood on accordions and groove to the music. 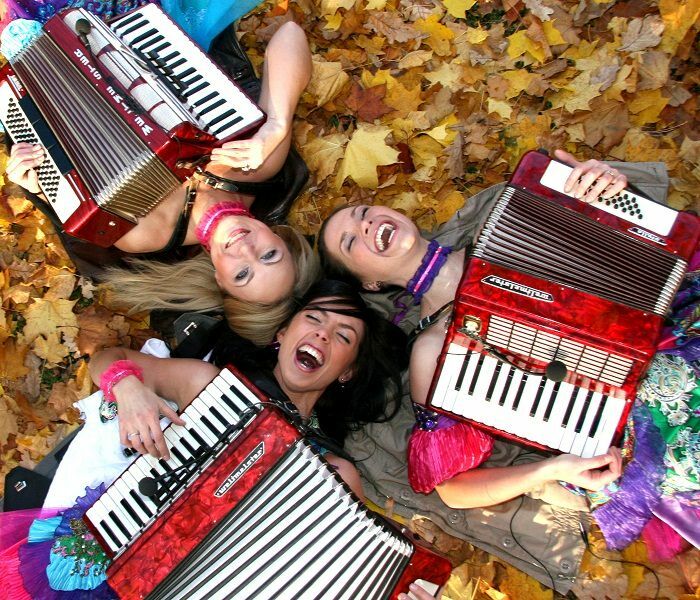 This group of international accordion performers will set the stage on fire with their electrifying performance. Pump up other jam for your social events with a girl trio of 3 gorgeous and equally talented women. Highly skilled in the art of playing musical instruments that range from DJ, Violin, and Saxophone who play together in a soulful symphony to create a vibe of energy and unmatched charisma. Proficient in performing hit Bollywood numbers as well as house and EDM music they truly are a whirlwind of fun, rhythm, and beauty. What better way to glam up your event than a leading alto saxophonist. Talented in playing various types of music genres ranging from jazz to western and even Bollywood, our solo saxophonist is an ideal addition to your parties, gatherings, and events. The soulful music of the saxophone will fill the entire atmosphere with positive and happy vibes. She is immensely talented in adapting to any performance situation with equal dedication and charisma. From here on, the list goes on and on and you have a whole mosaic of international performance artists and live music options to choose from.